You don't have to throw away your clothing if your snap is broken! 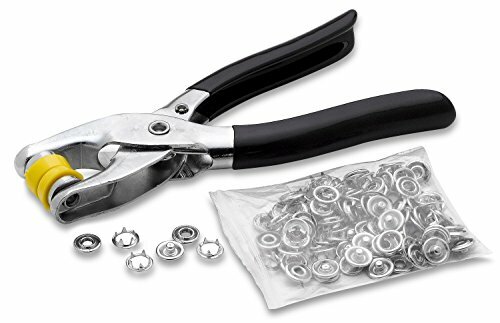 DURABLE: Special pliers designed for setting back pieces without having to cut holes in material. Rubber tips help keep studs and backs in place for centering and crimping. SATISFACTION GUARANTEED: Katzco will make sure that you will be satisfied with this set you buy from us. You are protected with our 100% No Questions Asked Guarantee for either a replacement or refund. We care about only putting out high quality products that satisfy your needs. If there is anything you need that we don't offer, we go and find the best for you.